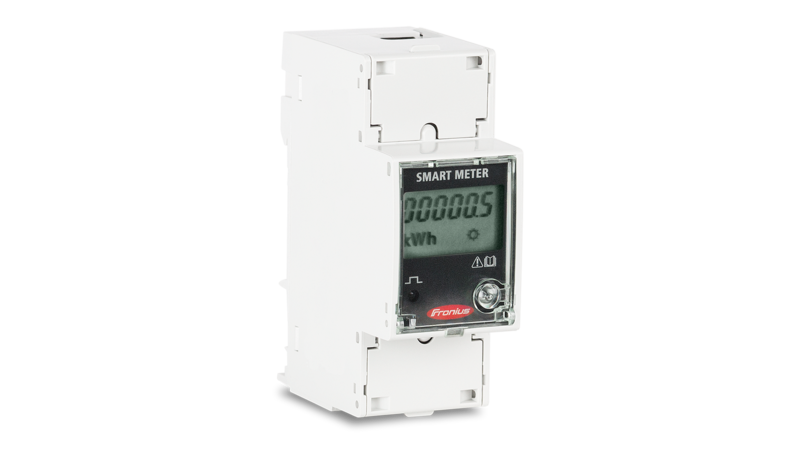 The Fronius Smart Meter is a bidirectional meter that optimises self-consumption and records the household's load curve. Thanks to highly accurate measurements and rapid communication via the Modbus RTU interface, dynamic feed-in control is faster and more accurate when feed-in limits are imposed than with S0 meters. Together with Fronius Solar.web, the Fronius Smart Meter presents a clear overview of power consumption within the home. In the Fronius Energy Package storage solution, which is based on the Fronius Symo Hybrid, the Fronius Smart Meter provides perfectly coordinated management of the various energy flows and optimises overall energy management. It is ideally suited for use with the Fronius Symo, Fronius Symo Hybrid, Fronius Galvo, Fronius Primo and Fronius Eco inverters, as well as the Fronius Datamanager 2.0.